Legislature affecting the inflatable industry is not only a good thing, but it is critical. Without regulations pertaining to the safety and inspection of inflatable equipment our industry takes a serious risk. This type of safety-driven legislature keeps the number of accidents on inflatables to a minimum, therefore keeping inflatable insurance costs lower and customer’s perceptions of inflatables in a positive light. Without industry regulations many fly-by-night inflatable rental companies and inflatable manufacturers could pop up. This would not only increase the competition, but it would also put our entire industry at a risk. Those companies that do not follow necessary inflatable safety protocol risk disastrous consequences, which could ultimately tarnish the entire industry’s reputation and drive insurance prices through the roof. 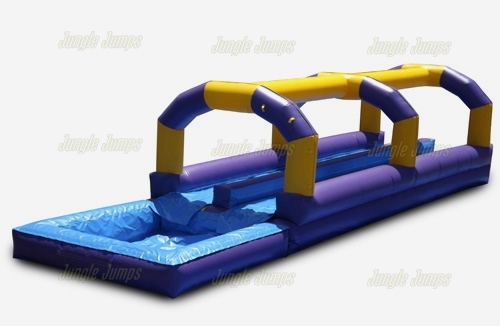 At Jungle Jumps we support the regulating of the inflatable industry to address safety concerns with the equipment and its operation. However, presently there is no one uniform national law governing the inflatable industry. Instead each state has the responsibility to develop and implement requirements for inflatables subjective to that state. Presently the states run the gamut from no inflatable regulation, which is risky for our industry, to oppressive and limiting regulations, which is also a threat for the inflatable industry. By making this a local issue, each state is responsible themselves for setting and enforcing the laws pertaining to inflatables and other amusement equipment. Many states simply do not have the resources, staff, money, and otherwise to perform the safety checks and inspections that are necessary to ensure proper inflatable operating procedures are being followed. Then you have states such as New Jersey, which we discussed in the last newsletter. In this case the state’s inflatable regulations are so restrictive for operators and manufacturers that businesses simply cannot afford to operate in the state. If every state implemented a similar legislature manufacturers would not be able to afford the exorbitant costs for each state they sell an inflatable in. This would reduce the inflatable options available to you, ultimately diminishing the industry. Presently executives at Jungle Jumps are working hard with government officials to create nationwide standardized regulations for the inflatable industry. This will allow all inflatable businesses and manufacturers to offer their products and services to the maximum number of prospects, while maintaining an acceptable profit. Standardized laws will also ensure that proper safety procedures are being followed from all inflatable businesses, regardless of the state that they are operating in. As our industry continues to grow by leaps and bounds, it is becoming more and more critical to have a consistency from each state regarding inflatable legislation. We would like to hear from you. What are your thoughts on standardizing inflatable legislature for every state? Post your comments and discussions on our Facebook page http://www.facebook.com/#!/JungleJumps. New Jersey was one of the first states to really get tough on inflatable regulations. The state is notoriously tough on all entertainment rides, including inflatables. A spotted accident history inspired lawmakers to begin requiring inspections of, not only the inflatables themselves, but also the design and manufacturing details. In 2002 New Jersey passed new legislature becoming the first state to require ride design code review and approval. This legislature means that all entertainment rides, including inflatables, being used or installed in the state must be inspected and certified annually. Additionally, all inflatables must meet wind-anchorage and combustibility requirements set by the state. is up to New Jersey codes. While the fees are costly and the paper work monotonous, New Jersey has been able to significantly reduce the number of accidents thanks to these new regulations. Other states may follow suit over time as inflatable regulations become more and more of a state issue. The laws and requirements for inflatables operating in New Jersey also extend past the operator to the manufacturer. New Jersey’s laws require that specific inflatable manufacturing standards be adhered to. Each manufacturer must also pay a high annual fee to submit each inflatable design to the state of New Jersey for official sanction and approval. Because of the high price, many manufacturers submit only their most popular inflatable products, limiting the selection available to inflatable rental businesses operating in New Jersey. 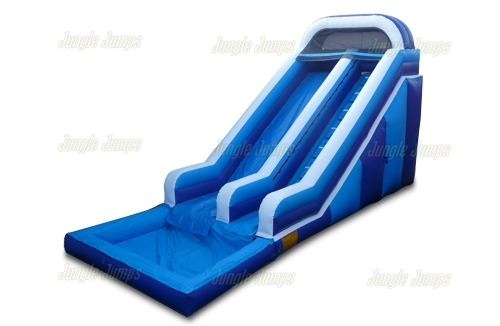 Jungle Jumps follows all of the ASTM24 requirements, but has chosen not to apply for New Jersey’s inflatable certifications. The exhorbitant annual fees per inflatable design have made it difficult for manufacturers to do business in the state. If every state followed suit with New Jersey’s inflatable regulations for manufacturers, the price of the product would have to go up for everyone to cover these annual fees. Stricter inflatable regulations, like New Jersey’s, are a good thing for the industry. As these will ensure that inflatable manufacturers are legitimate, weeding out those manufacturing product in their home garage. Some states are still without any formal regulations pertaining to inflatables. This actually puts businesses in those states at a disadvantage, as they risk losing the reputation of their state’s inflatable industry and safety reputation to “fly by night” operations who may not focus on following all of the safety precautions necessary when operating an inflatable. However, the cost of paying exhorbitant annual fees for each individual state is simply not feasible for inflatable manufacturers. At Jungle Jumps, we support these types of mandates, but feel that these laws should be uniform across the board for every state. As an industry, we would like to see every state adopt New Jersey’s regulations. We would like to see inflatable manufacturers submitting designs for approval to a single agency. This agency would certify inflatables that could be sold in every state. Keep in mind that additional regulations pertaining to inflatables do keep the number of accidents down, which in turn also reduces the price for your business insurance and this is a good thing for any inflatable business. 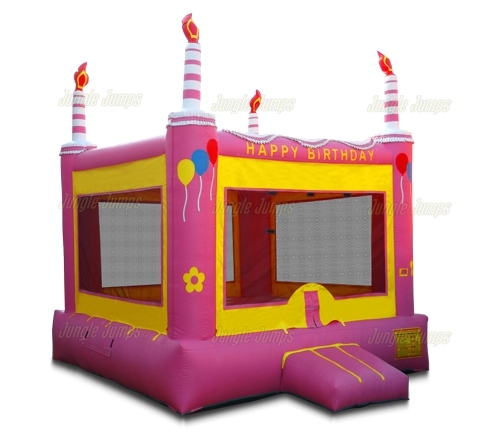 When you’re in the party rental business one of the things that you want to do whether you’re looking to buy a bounce house or any other kind of inflatable jumpers for sale is find the best inflatable manufacture. That means that you’ll need to understand what to look for in the inflatables for sale that any of these companies offer and first and foremost you should be looking for a good warranty. After that you want to be sure that any inflatable jumpers for sale that you are looking at have a variety of custom colors that can be supplied by the inflatable manufacture. 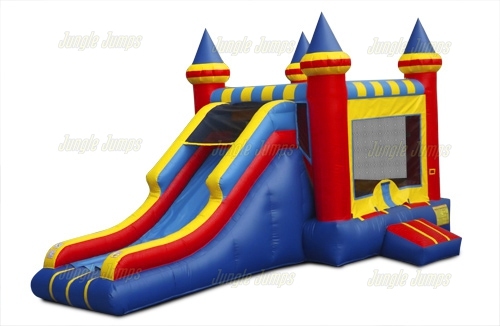 Of course you want to be able to get the best in sales and service and that includes an inventory of all the different kinds of bounce houses and other inflatables that are generally supplied by the best inflatable manufacturers on the market. Getting the best inflatable manufacturers so that you can get the right kind of inflatable for sale means that you need to understand what you are looking for. When you’re the party rental business you need to be cautious because there are many different bounce house sales on the Internet and you need to be knowledgeable about what to look for. And one of the best things that you can do when you’re checking out all the different inflatable jumpers for sale is take a quick look at the customer service that’s offered by the inflatable manufacturer that you are thinking of using. It’s important to remember here that you get a sense of how legitimate the company is by what kind of contact information they offer. For example, a company that offers an e-mail address may be trying to hide something if that’s all they are giving out, but a company that offers a customer support telephone number to is more than likely much more legitimate and their bounce house sales can be trusted. It’s important to get the best products that you can from the inflatable manufacturers that are trustworthy on the Internet. 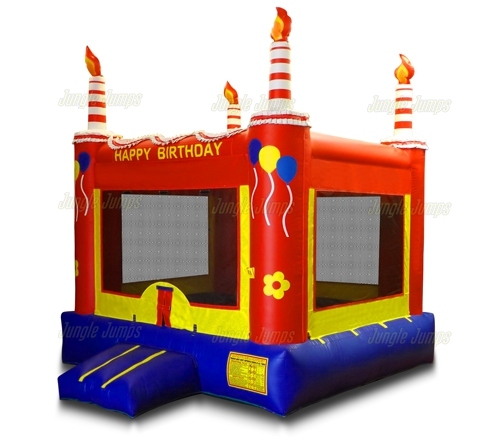 Owning your own party rental business means you need to be savvy about the kind of inflatable manufacturers that you can choose from and the products they sell in the bounce house sales that they have often. You need to be able to look through and discern what’s right for you and the best way to start doing that is by looking at a few features on any inflatable manufacturer’s website. First of all you want to look at the kind of inventory they have. A place that has bounce houses as well as inflatable slides and combos is probably much more professional at the business. Read their About Us section quite carefully to find a what kind of materials they use and how they stand behind the bounce house sales that they make on the Internet. When looking through those bounce house sales to find the best deal for your company make sure to take your time and look at the website of any inflatable manufacture as their business card.